LAUSANNE, SWITZERLAND (January 16, 2019) - Brown Rudnick Partner Hervé Le Lay has been named to the closed list of official arbitrators maintained by the Court of Arbitration for Sport (CAS). Hervé was selected as an arbitrator due to his extensive experience in matters before the court, and his long record of thought-leadership in arbitration and sports-related law. Hervé has been involved in more than 20 sport-related arbitrations and is fully proficient in the three most commonly used languages before CAS (English, French, and Spanish). 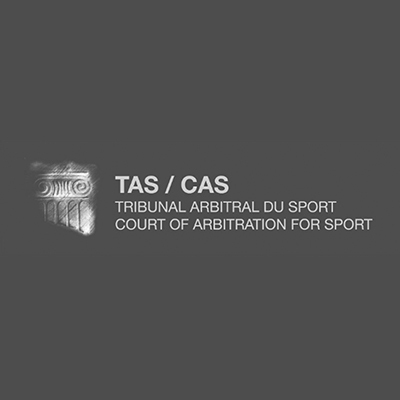 Based in Lausanne, Switzerland, the CAS was founded in 1984 to resolve international disputes in the sporting realm through arbitration. The CAS arbitrates sports-related disputes over the interpretation of sports-related regulations and contracts, and also acts as a court of final appeal for decisions taken by national and international sports authorities. The Court relies on a closed list of experienced arbitrators from over 80 countries to oversee the dispute resolution process. At Brown Rudnick, we combine ingenuity with experience to achieve great outcomes for our clients. We deliver partner-driven service; we incentivize our lawyers to collaborate in the client’s best interest; and we put excellence before scale, focusing on practices such as distressed debt, corporate restructuring, M&A, white collar defense, international disputes, and intellectual property, where we are recognized leaders. We have more than 250 lawyers and government relations professionals across the United States and Europe, with offices in key financial centers. Beyond the United States and Europe, we serve clients all around the globe.